Dg jewels charming collection embellished with austrian diamond, shell pearl and 24K gold plating with anti tarnish quoting for longer life. 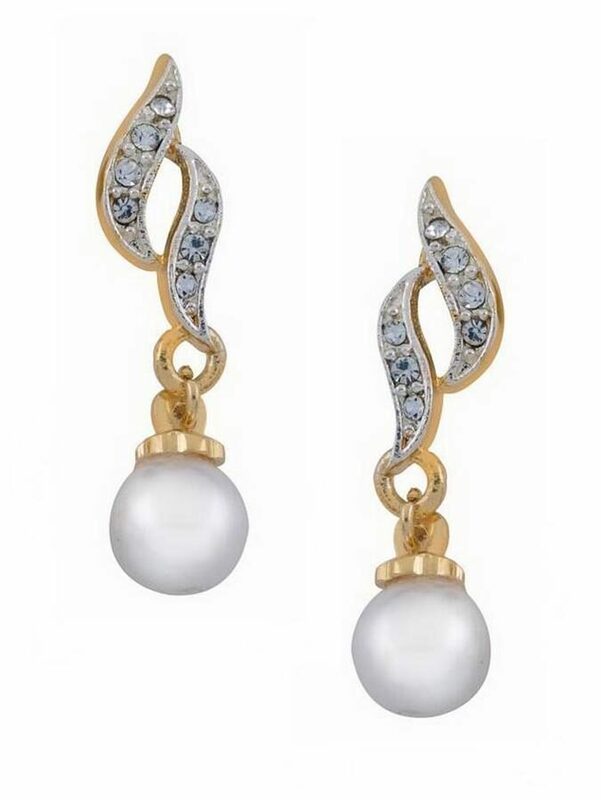 This exquisite earrings is surely going to add glam quotient to your personality. Envy every next girl at the party or anywhere else you go. Whether it s your party or some religious occasion, you can carry this beautiful ornament with utmost elegance yet simplicity.